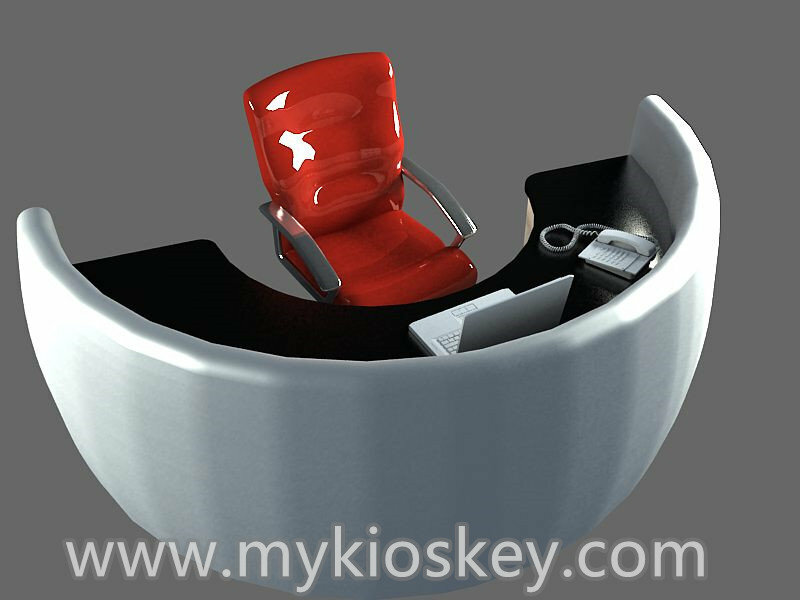 Thank you for you are interested in our modern bar counter design for office, this is kealry from myidea furniture Ltd. We are a factory and do customized and designed according to your requirements and ideas. 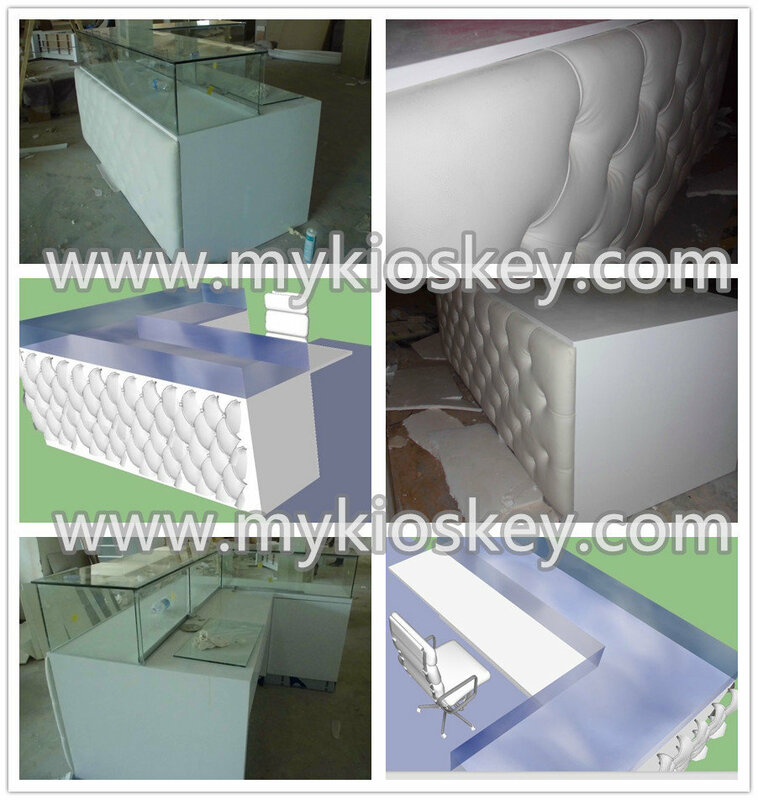 We have done lots of bar counter,such as reception counter,home counter,commercial counter,and so on. We are strength factory and have more than 10years experience in this induatry,so we can guarantee our product quality and service can make you satisfied. 1. Descriptions for bar counter. Material: MDF,baking paint,tempered glass etc. 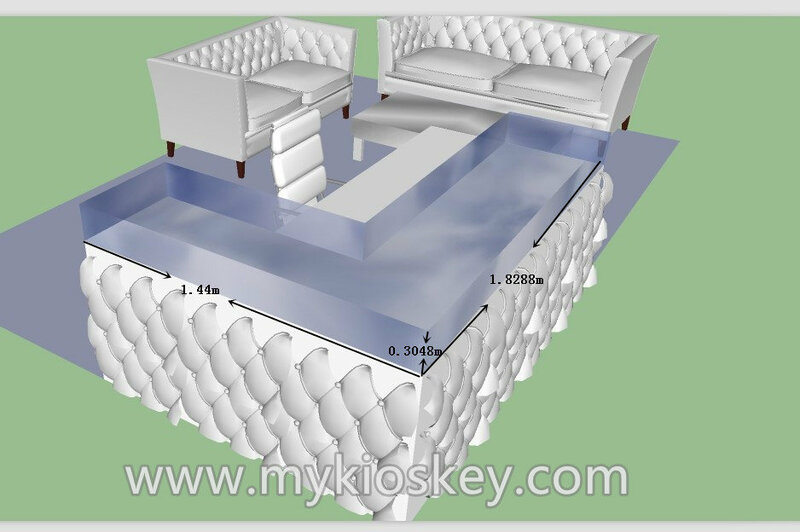 Design show : 3D max design show you clear pictures from different angles.design time about 2-3 days. 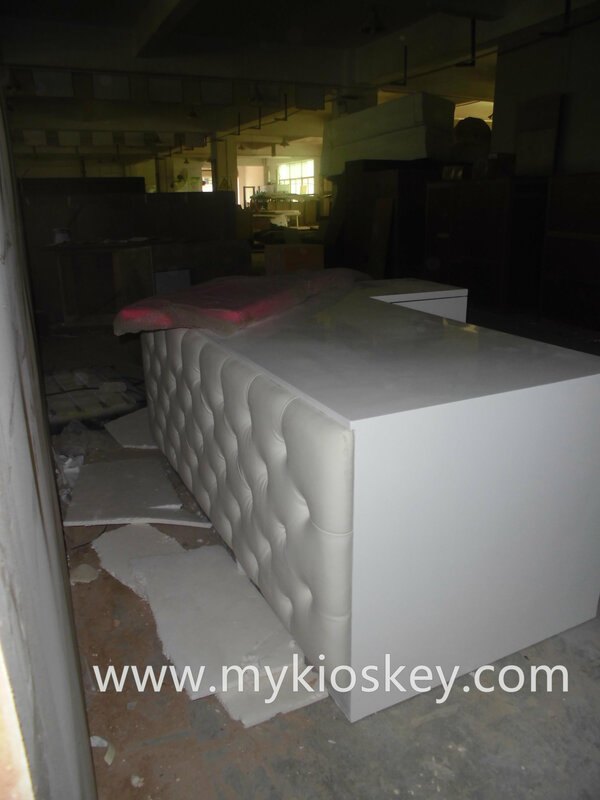 We have done lots of different style modern bar counter shipping to different country before.As you see this hair kiosk,the size is1.8by1.44 meters, mainly material is MDF,tempered glass There have 4 seat for client with 2 sofa. 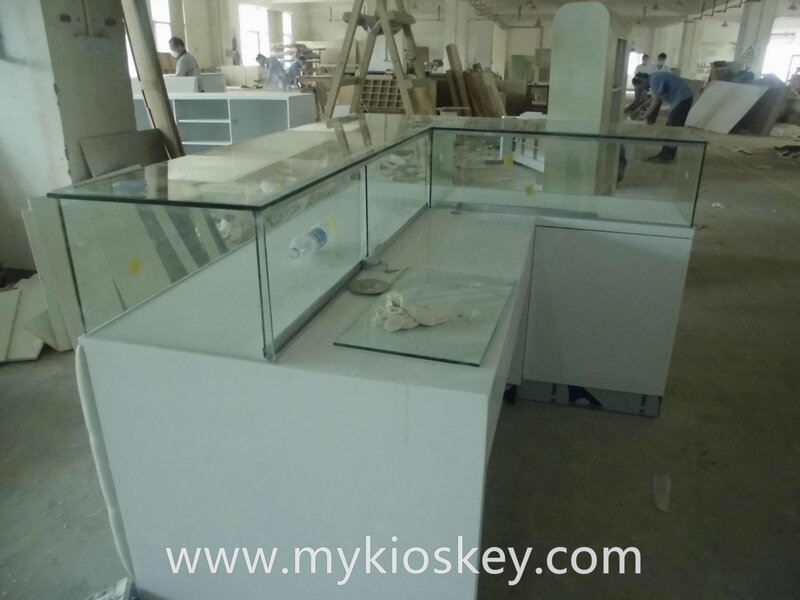 The surface of L shape counter ia tempered glass,make the whole bar counter looks very nice. This modern counter color is white,finish with baking paint and soft roll,any color you can choose,it looks very glossy and luxurious. If you have own logo,please tell us,we can add you logo on the counter. All of anything about this kiosk can customized for you. 3.How to make the design for modern bar counter? 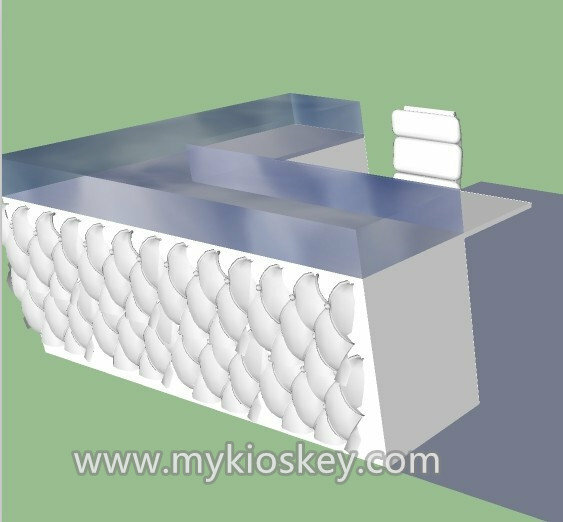 We are a factory direct sale, not trade company, we have professional design team and we mainly do customized of modern bar counter, all of our products are customized according to our client’s requirement. 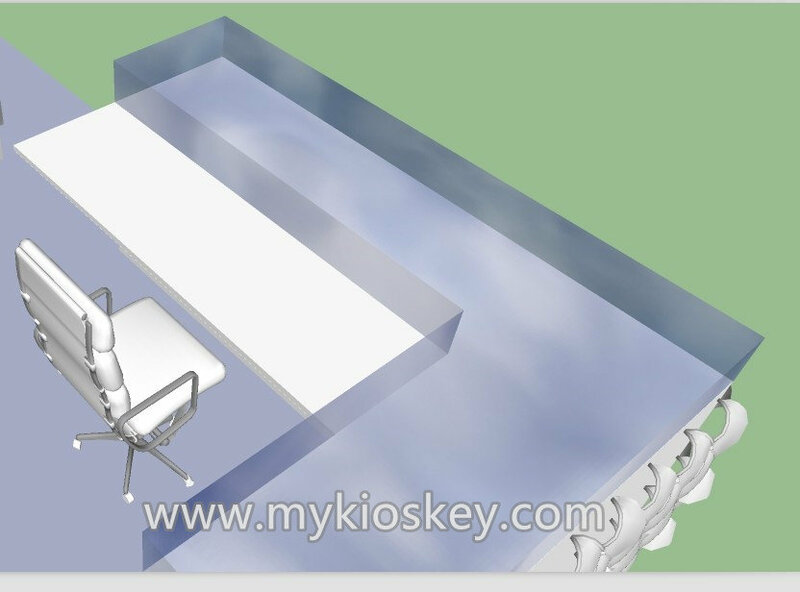 the first, we will talk with our client all of requirements(such as size,style) about this counter and give some suggestions, Secondly, Make 3 D max design about thisbar counter for the client confirm, if client have any ideas or not satisfied with some place about this bar counter we can change the design to you. Finally produce it according to final 3 D design and construction plan. Produced photo show take in our work shop, after we finished the modern bar counter,we will assemble it in our workshop ,and install all the lights and logo ,then taken video and photo to confirm with our customer.So customers can see our real produce process,in order to make customers believe our product quality.